1. Epic bruise on the outside of my left knee. 2. Tiny cuts on my knees from little rocks in the bottom of the trench obstacle. 2. Warrior Dash: 1:23:03.20 We were in no way running for time. This race was all about sticking together and having a blast. 1. Being able to do all the Warrior Dash obstacles without help. I needed assistance climbing over some of the obstacles last year. Shortly after, I started working with my trainer and building some legit muscle. Almost a year later, it was definitely noticeable during the race. 2. All the runners at the Run for Boston 5K running in the rain. The weather Saturday was pretty crappy. It rained during most of the race which was annoying, but at the same time it was really kind of beautiful. The fact that so many runners still came out and ran despite the rain really embodied the whole spirit of the race. The idea that nothing will stop the running community: not bad weather and not an attack on the beloved Boston Marathon. It just made me smile. 1. My finishing time at the Run for Boston 5K. I started the race slow intending to run with my friend Jen, but my knee was really bothering me after I hurt it during the Wholly HellHell 15K the previosuly weekend. I decided to pick up the pace in hopes of that helping my knee. When it did, I decided I was going to try and catch up with my friend Scott. I really pushed myself and actually did manage to catch up with him by the end. I nearly threw up on the final hill, but I made it. It really gave me the mental boost I need to start my #PRorBust half marathon training. 2. Running with friends. I’ve done most of my recent racing alone, and while I’ve always enjoyed them, I greatly prefer to run with people I know. It’s more fun to hang out with friends before and after and have someone to chat with during the race. U less I’m actively trying to PR, I’d much rather run at a slower pace with someone than run faster and alone. Glad you enjoyed Run for Boston! It was a wonderful event! 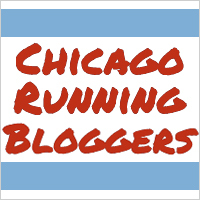 You (along with Art and the other Chicago Running Bloggers) did an absolutely amazing job putting it together. You should be extremely proud! I do wish I’d come and said hi, but as usual my shy and generally awkward personality took over and I talked myself out of it. Two events in one weekend?! I’m so impressed! Nice work. I’m impressed that you were able to do all the obstacles too! This comment just made me smile so thanks.